Searching for a Home Appraisal in the Houston Braeswood Area? Our Texas certified appraisers are the leading providers of independent residential and commercial real estate appraisals in the Braeswood area. We aim to deliver an appraisal report that meets our customers’ needs and is delivered with an industry leading turn time. We have some of the most competitive appraisal fees in the area and are known for delivering reports faster than the typical appraisers. Our staff of appraisers are all local to the Houston area and are competent in performing appraisals for varying property types, for any uses including residential, commercial and mixed-use properties. 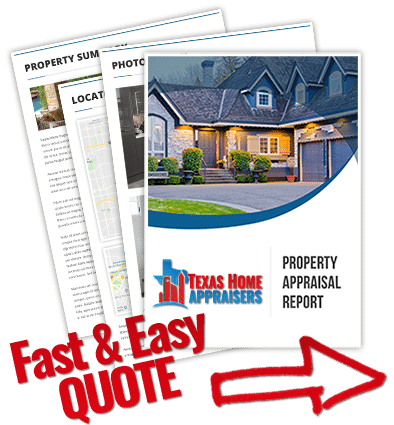 If you have a commercial property that needs valuing our staff of Texas Certified General appraisers can provide you a quote based on the assignment details. Moreover, our appraisers are able to perform appraisal services for any use including lending, private situations, insurance, legal issues and any other scenario that requires an concise and reliable property valuation. Whether you’re a homeowner or an industry pros, we take pride in providing a friendly and reliable service. Should you have any questions or you’re ready to place an order, simply call the phone number on this site or complete the appraisal request form found on this site. Getting in touch takes minutes! Simply submit the web quote request form or phone the number above and one of our public real estate appraisers in Houston Texas will be ready to discuss your appraisal. My home is in a flood zone. How does this impact my value? Comparables sales are usually those which a buyer would consider instead of the subject property, meaning they should be similar in appeal. For residential appraisals, the selection and adjusting of comparable sales has the most weight on determining the final opinion of value. It is the appraiser’s responsibility to adequately research the local real estate market and determine which comparable sales best represent the value characteristics of the subject property. Your appraisal does not affect your current property tax bill. The appraisal is shared only between you and the appraiser, as well as your lender if you are refinancing or purchasing. Your real estate taxes are determined by a local tax assessor each year. However, if you decide to add-on to your home or do any extensive remodeling that requires permitting, the tax assessor may be prompted to re-evaluate your properties value. Only appraisals initiated by request of a lender(bank) on behalf of lending, will be made public knowledge and shared with local tax authorities. A professional appraisal is a powerful tool in the process of contesting your property tax values. Can a seller request a copy of the appraisal?